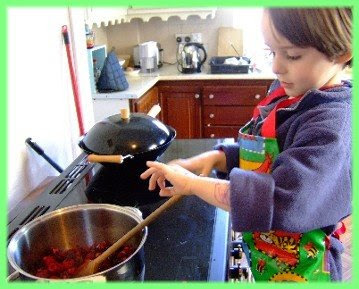 I used frozen summer fruit – blackberries, red currants, raspberries, black currants – and Siúcra’s Sure-Set Jam Sugar, but you can use ordinary sugar; use the juice of two lemons, instead of one, if you use ordinary sugar. 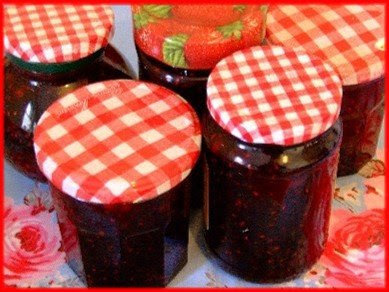 The jars are heated to stop them cracking when the hot jam is poured in. This amount made five pots of jam, a lovely smell in the kitchen, and a happy hour together for me and my littlest son.